Waaayyyy Haaayyyy it’s that time of year again! 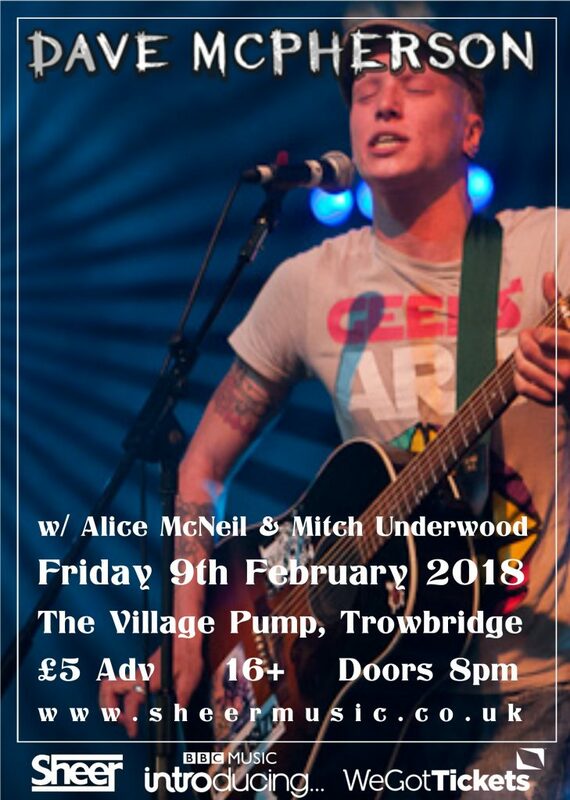 We like to have Dave McPherson at least once a year, and shortly after our Turner show in January, we open our Trowbridge account for the year by having the InMe front man headline the coolest little slice of venue in town. Last time Dave played for us was in this very venue, supported by the wonderful Oxygen Thief. We have plans for Barry to return in March, so there will not be a repeat of a line up. Instead we’re welcoming Ravetank over from Bath for the first time and Heartwork over from Wales. Heartwork seems to be going from strength to strength, so fingers crossed 2018 will be an even bigger year for him. What a banger of a line up that is, if I do say so myself. We’d really love you to come hang out with us at this show to further strengthen the affinity between Dave and Sheer, as we really want to book InMe this year too, so like…. come show him some love!! Luckily Dave has never played either a quiet show or a bad show for us, hence the friendship we share, but putting it out there that we want to push on and bring in the big one, can’t be a bad thing. So, what do you need to know? 10.5 – fin. – DAVE McPHERSON. Tickets £5 adv. or £7 otd. Normal rules apply, we like our shows to be inclusive and open to the next generation of live music fans, as such, if you’re 14+ you’re welcome to attend – just don’t go trying to lig! Oh and The Lamb in Trowbridge aka the Village Pump has excellent Wheelchair entry, so, roll up without fear.